Monserrato, Cagliari, Italy: new piece collab by Italian artists Roberto Ciredz and Ludovica Frauu. Italian artist Roberto Ciredz recently finished his recent mural, in collaboration with Ludovica Frauu, in Cagliari, Italy, for the Panda, a spontaneous project of experimental urban art. 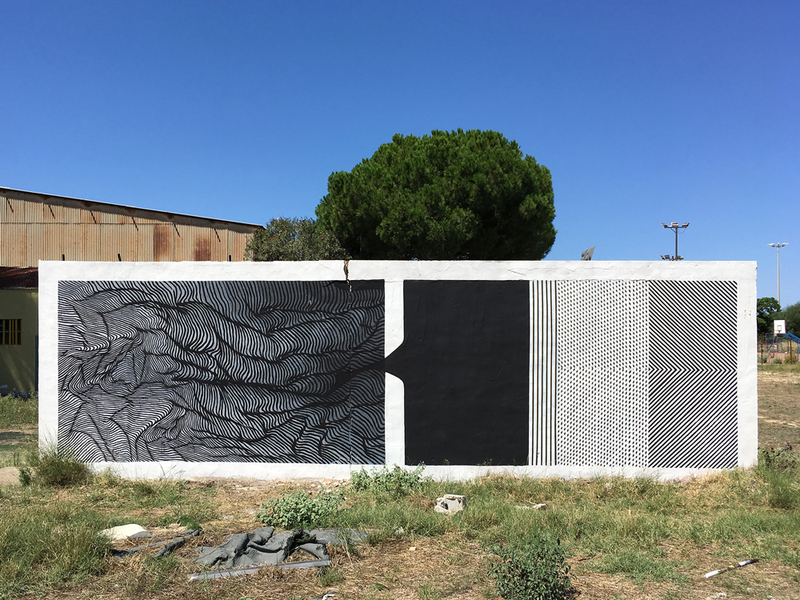 The mural responds to his abstract research directed towards Nature, producing a new site-specific work that ranges between street and land art.